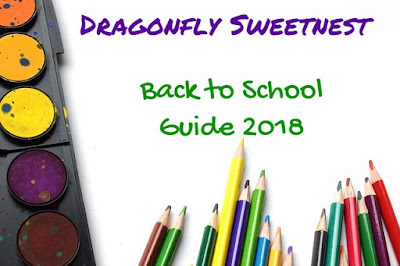 There are many things to prepare when getting ready for the new school year. One thing that can be a struggle is getting everyone back into a routine of going to bed early. My family usually tries to get used to the adjusted sleep schedule a few weeks before school starts. However, adjusting your sleeping pattern can be hard so we can use any help we can get. The AucuTee Portable White Noise Machine is a neat little device which can help a person fall asleep. It can also be used for things other than falling asleep. The AucuTee has a wide range of different sound options, some are better for encouraging sleep, others can help you focus by drowning away distracting noises. Whether you suffer from not being able to sleep, need help concentrating, or you simply want a relaxing tone to help you unwind for a while, this item is for you. If you haven’t heard of a white noise machine, it is a device that has pre-set sounds programmed into it. The sounds range from the classic “white noise” which is a soft and continuous noise that is purely consistent, with no changes in tone, much like audible radio silence. There are other sounds such as crashing waves and trickling water, to approaching thunderstorms or simple melodies. The AucuTee White Noise Machine offers 20 preset sounds. Other than the sounds I have already listed, other sounds included are; crickets, stream, wind, and more. It is designed to drown out any sounds and distractions that may be preventing you from sleeping or relaxing. In return, you will develop a healthier sleep pattern, which results in a more balanced center for your mind, body, and awareness. Some other options for using this device are listed below. What can you use the white noise machine for? When I received the AucuTee white noise machine, I was pleasantly surprised at the quality of the product. It is designed very well and will look good in just about any setting. It is very portable and does not take up a lot of room. It lays flat on the table and offers a discrete presence. The item comes in two different colors: gray and white. I went with gray, as my room is gray and yellow. The machine is very light and easy to move from place to place. It is not complicated at all to use. There is a play/pause button. There are volume up and down buttons, as well as a headphone jack. There are previous and next buttons for changing tracks. The machine is also rechargeable. After charging for 2 hours you can play for more than 10 hours of sound. The timer button is right beside the time indicator which lights up to indicate the set amount of time desired for operation. The timer can be set for 30, 60, or 90 minutes. This is ideal for someone who just wants to use it to fall asleep but doesn’t need it to play throughout the night. I find that using it all night while I sleep works perfectly for me and my hubby. We have found many great uses for the AucuTee white noise machine. Hubby uses it to help him focus on his work. Everyone has tried it at night and everyone is left with the same positive impressions. It helps us all sleep much better and stay asleep without waking up multiple times. We all have our favorite sounds that we enjoy for different reasons. I have found that I like it to play while I am doing housework or working on the computer. It helps me stay focused. I have found that certain sounds are better suited for certain needs. For me hearing the stream or thunderstorm helps me sleep like a baby. While the chirping birds help me clean the house better. Overall I am very impressed with how many uses this machine offers. If I have any criticisms of it, they would be: 1. No Bluetooth/wifi/app control support. 2. No way to expand the track list by downloading other sounds. However, this is a white-noise machine, not an MP3 player, so I generally regard its basic design as a defining feature. I am going to be taking this on vacation with us as it is so lightweight and small. If you struggle with sleeping, concentration, or relaxation, I would give the AucuTee white noise machine a try. It may just be the helpful item you have been looking for. AucuTee was kind enough to offer you a 15% OFF Coupon Code AUCUTEE15. Giveaway will end on Tuesday, August 21, 2018, at midnight. Giveaway is ONLY open to the USA. I will notify the winner via email within 24 hours of the giveaway ending. I will use random.org to draw the winner. The winner has 48 hours to email me back upon the 48 hours with no message I will draw a new winner. It is up to the company offering the giveaway to fulfill the prize won. Disclosure: I was compensated for this post with a product to review by a PR agency or company for my honest opinion. Regardless, I only recommend products or services I use or would use personally and believe will be good for my readers. Your opinions may vary from my opinions. You can also go here and read my PR and Disclosure Policies. I am hoping this will help block out all the little noises I hear throughout the night. I think this would help me to de-stress and unplugg. It would help me with my insomnia & would help block out noises when my grandson is here and napping & my daughter is doing her online college while he is asleep & my husband and I are tiptoeing around our own apt trying not to disturb either of them because we know the naps and studying are important and only time to do it because she doesn't want to take away from their time together when he is awake. Awww. I think they help with stress and anxiety too when I cant get my mind to slow down/quiet down at bedtime.Actually I think even our cat and bird like to listen to nature sounds too. I think this will help me sleep better at night. We always have a fan running in baby's room, but pointing away from them. But it still makes the room chilly in cold weather. A white noise machine would be a big help. It will help me tune out my loud neighbors. I have a hard time sleeping and I think this may be beneficial. Would like to try it. Thanks. I think it would help me sleep and wake up refreshed. /my kids both like to have white noise, like a fan on. Fans are ok for summer, but not in cooler weather. This would be great. The Aucutee White Noise Machine will help me sleep better because it will cover up the noise that everyone makes in my house. My brother has two girls, one 4 months old and the other 18 months old, and both of them have issues with sleeping. This would help their family be able to sleep! I would love for it to cover the nose of the motorcycles. I could use the AucuTee white noise machine desperately to help me sleep. I cannot sleep due to several factors. I would love to give it a try...I am on day three of no sleep!! i think this AucuTee white noise machine will help me focus on the noise and my breathing as opposed to me in my head. This would help my 1 month old son get to sleep and stay asleep. The slightest noise wakes him up, then he won't go back to sleep. I am hoping that the Aucutee White Noise Machine would help me stay asleep. I hear a lot of loud cars outside my bedroom window that wakes me up. Hopefully it would help me sleep at night. I think it would help me sleep deeper because I won't wake up from small noises! It could help me go to sleep faster. Now I must have my old noisy fan on and it very loud but I cannot sleep without it. This would be great for our son. Would drown out the sounds of the television and pets at night when he sleeps. I love white noise while I sleep but usually use a fan. This will make more sense in the winter. The white noise will help me sleep through the night by blocking out every little creek I hear during the night. It will also block out the noises my cat makes when he gets hyper during the night. This would help me to relax, as well as help me to fall asleep and stay asleep! Thanks for the chance at this awesome giveaway! As a mother of two (soon to be three!) living in a 500 sq ft apartment with a rather snore-y husband, this could be a life saver!! My son would like this. He has trouble sleeping at night because he gets scared. It would help him by keeping him calmer. I am a light sleeper and use a fan to reduce noise. I love that this has different sounds. My fiance is a snorer, and there's enough noises from our upstairs neighbor that I'm really struggling to fall asleep. I'm hoping this noise machine will help with that. I have insomnia and I've been wanting to try a white noise machine to see if it helps. This looks like a great product. I have crazy loud neighbors and I use a fan as a noise machine in the Summer but that really doesn't work in Winter.This would be great for that! This would be a great alternative to having a fan blowing right on my head, especially as the nights start to get cooler. My tinnitus likes to really shine in the deep, dark quiet of night time, so this would act as a perfect distraction. I think the Aucutee White Noise Machine will help me to fall asleep at night and zone everything out. It will help my mind relax so I can sleep. I think that this noise machine will help me fall asleep after a long night shift and soothe me to sleep ! This would help me get a good night sleep. It will help drown out the noises that wake me up at night. I find it easier to sleep to noise sometimes, so I think it would help me get to sleep faster. Ever since having kids I hear every single noise at night and it really disturbs my sleep. Hopefully this will help me by blocking out some of the noise and allow me to sleep. I think it would help me have a better night's sleep. It will help me and my baby sleep, but it will also allow me to truly be calm during the afternoon rest time. Its hard to relax when you can hear your kids even when they are being quiet. This would be perfect for that time of day. This would help greatly with my adjusted sleep schedule.